Thank you for the overwhelming peace I have in you. 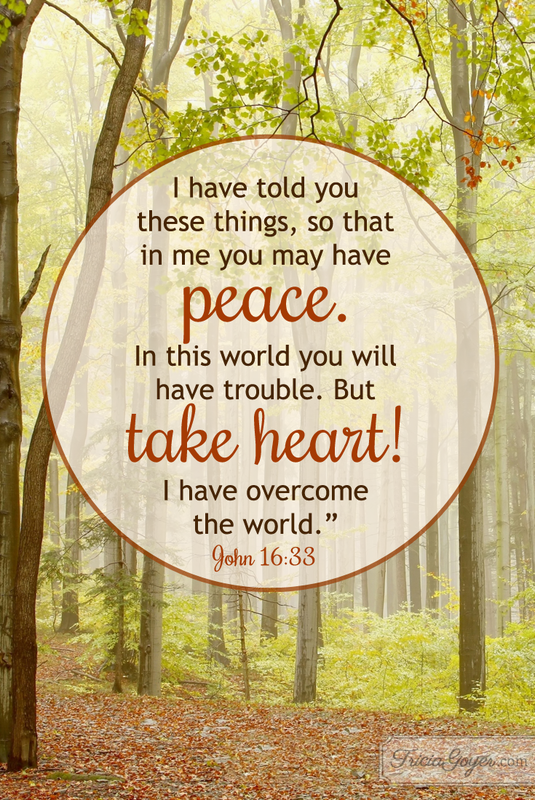 Though I will meet trials and pain, you have overcome! Whenever I’m feeling dejected and defeated, remind me of your power and faithfulness. Give me the courage to get through this life and follow hard after you. I have a question – when you feel like God wants you somewhere else, like out of the big city, but your husband will not move, what do you do?